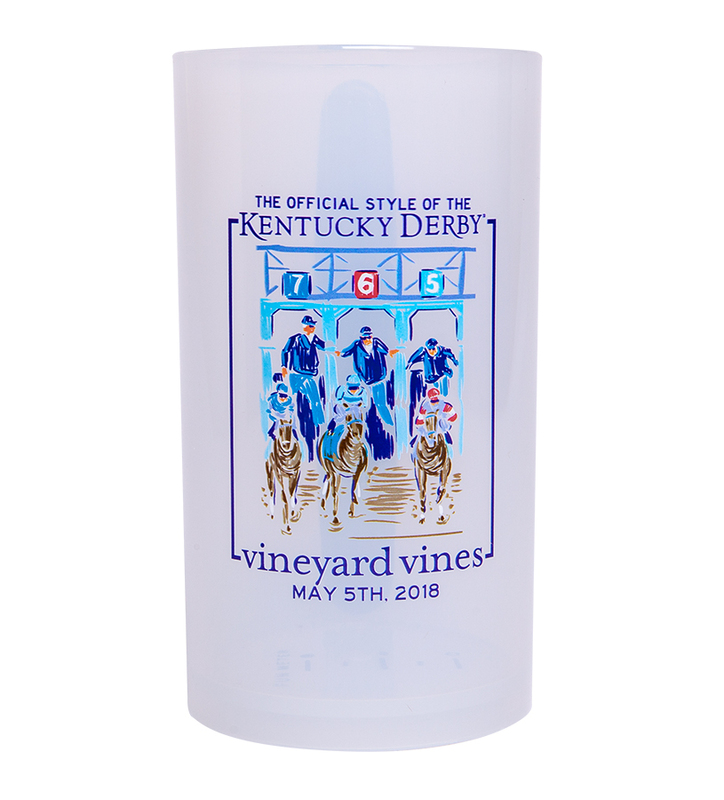 Celebrate the 2018 Kentucky Derby with this Starting Gate Cleat Cup from Vineyard Vines. The Cleatus Cup™ features a core made from BPA Free Polypropylene Plastic stamped with a fun-meter bottom. 6" nylon dock cleat is re-purposed as the cups handle. Holds approximately 24 ounces of your favorite beachside (or trackside!) beverage. Made in America. Safe for Cold and Hot drinks. 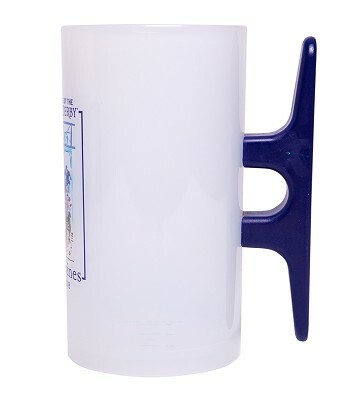 Top-rack dishwasher safe (hand washing recommended to protect printed graphics). Do not microwave.